A bookkeeper is someone that follows sound accounting principles to categorize all of a company’s transactions (both income and expenses) and prepare financial reports for that company to view each month. It’s similar to what you might do with your personal finance or budgeting software at home. You connect with your bank, allow the software to pull in the transactions and then go to town categorizing. Once you categorize all the transactions, you can view a report seeing where your money came from, where it went and how that stacked up against the monthly budget you made. A bookkeeper does the same thing but for a business. It may end up being a little more complex. Sometimes a business will have multiple bank accounts and they may have assets that need to be tracked, like property and equipment, that you can’t simply connect a bank account for. However, the basic principles remain the same. Why Would I Want to be a Bookkeeper? Bookkeeping is straightforward, ongoing work that can offer a lot of flexibility. Many bookkeepers work from home. As an example, our company currently employs several bookkeepers to give bookkeeping help to small businesses. All of our bookkeepers work remotely and on their own schedule. If they were to be working from the beach or from the mountains, we’d be fine with that! A bookkeeper needs to be good at communication and maintain professionalism when a client/employer wants to talk over the phone. While the majority of a bookkeeper’s work takes place on a computer, sometimes they’ll need to be able to find a quiet place, during business hours, to have a phone call. From time to time, there might be issues with the client or employer to talk through. Your earning potential can vary and depends largely on the company you work for. But it’s not uncommon to see hourly pay in the $12-20 range. Payscale puts the median bookkeeper pay at $16.45/hour. How Do I Become Qualified to Do Bookkeeping? A lot of people think that in order to keep a business’s books, you need to be an accountant or CPA. Let’s clarify some of these terms. An accountant is generally someone who has at least a bachelor’s degree in accounting. Though this isn’t a formal designation, they have some training and would be able to jump in and do bookkeeping work right away. A CPA (Certified Public Accountant) on the other hand, usually has a master’s degree in accounting and has taken a rigorous CPA exam to prove their knowledge and/or experience. A CPA is certified to do audit work, tax preparation and other tasks that the IRS requires that designation in order to do. For this reason, CPA’s generally find full-time work and may go to a big accounting firm or work for large, Fortune-500 type clients. The key point here is that there is no formal designation required to do bookkeeping work. Anyone can do it, though being able to do it properly is certainly key to saving a lot of headaches down the line. As a bookkeeper for a private company, you don’t have to pass any tests or even have any formal education. You just need to know what you’re doing. What Can’t I Do As a Bookkeeper? What you can’t do will usually come down to basically one thing: taxes. Only certain, certified parties (like CPAs, enrolled agents, and tax attorneys) can prepare taxes on behalf of another party. But you can prepare the financial statement that a CPA will use at the end of the year to prepare those taxes. In fact, that’s your primary job, along with strong communication and the ability to complete tasks on time. How Do I Get Hired as a Bookkeeper? 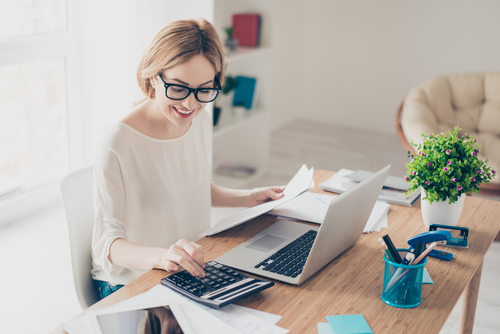 Though there isn’t any formal designation or certification required to be a bookkeeper, any company that hires you as a bookkeeper will want to make sure that the reports they’re getting back are accurate. Like I mentioned, if you’ve done personal finances and budgeting, that’s a great start. In order to become a bookkeeper though, you’ll want to find a way to familiarize yourself with modern accounting software (like QuickBooks, Xero, or my company’s software, ZipBooks). These accounting systems allow for categorization and tracking of assets, loans, and investments that the company may have. One way to familiarize yourself would be to offer your services, free of charge, to a small business owner that you know. All small business owners need accurate financial reports. Plus, the truth is, they probably want to focus on building their business and not on the books! Because of that, many small business owners struggle to keep their own books. They would love for someone to take that off their plate. If you can dive in and help and are willing to go through a free online accounting course (like those from AccountingCoach or EdX), you’ll have the hang of it within a few weeks. Once you’ve got some experience and knowledge about bookkeeping, you’re ready to look for those paying gigs! My company posts bookkeeping jobs on local job boards. You’ll want to look there first, along with other places like Craigslist, Indeed, ZipRecruiter, etc. You should also post a profile on UpWork, a platform that connects freelancers to companies looking to hire. You should also talk to some of the many accounting and tax preparation firms that are bound to exist near you. They may have openings for bookkeepers so that their CPAs can focus on taxes or other work. Or they may know business owners for whom they do taxes who might be looking for bookkeeping help. Don’t be afraid when you hear the term accounting. A lot of the work an accountant does is actually that of a bookkeeper. It isn’t as scary as it sounds. And it may just be the opportunity you’ve been looking for! Questions for Discussion: Would being a bookkeeper work for you as a new career, part-time job or side hustle? If you’ve become a bookkeeper, what has the experience been like for you? What other barriers do you think exist for being a bookkeeper?